The young George Washington visited the area at important points in his life and career. In March 1748, during his time as a surveyor, he wrote of visiting the Cresap home at the mouth of the South Branch of the Potomac. He notes of this part of his journey: "I believe ye worst road than ever was trod by Man or Beast." In 1794, as Commander in Chief, he reviewed the troops gathered to put down the Whiskey Rebellion. 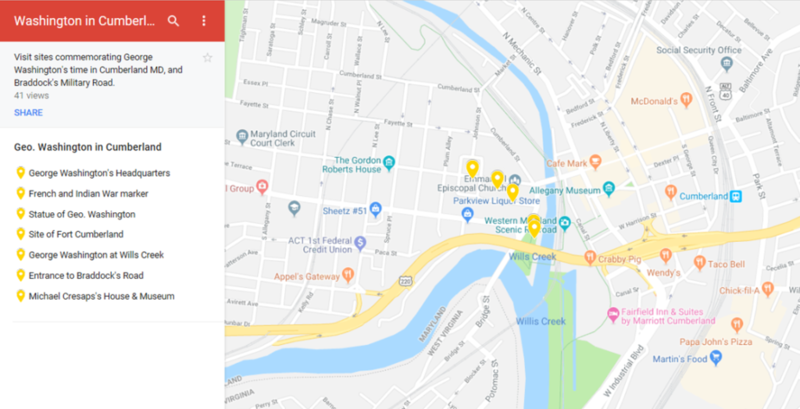 Visit all these places and more when you are in Cumberland to attend this year's Whiskey Rebellion Fest, Allegany Museum in Cumberland, Friday June 7, 6 to 10 pm.